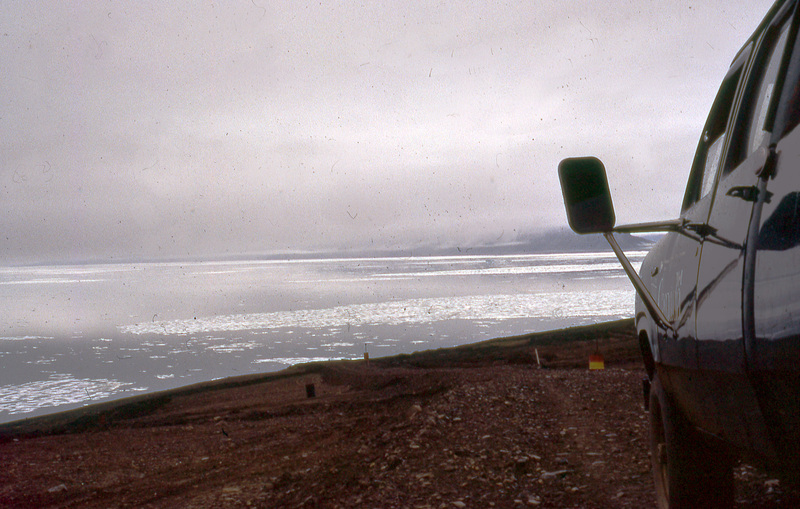 A photo coming from a past travel, from Cherbourg, June or July, 1986, something that bring back lot of good memories to my mind…. 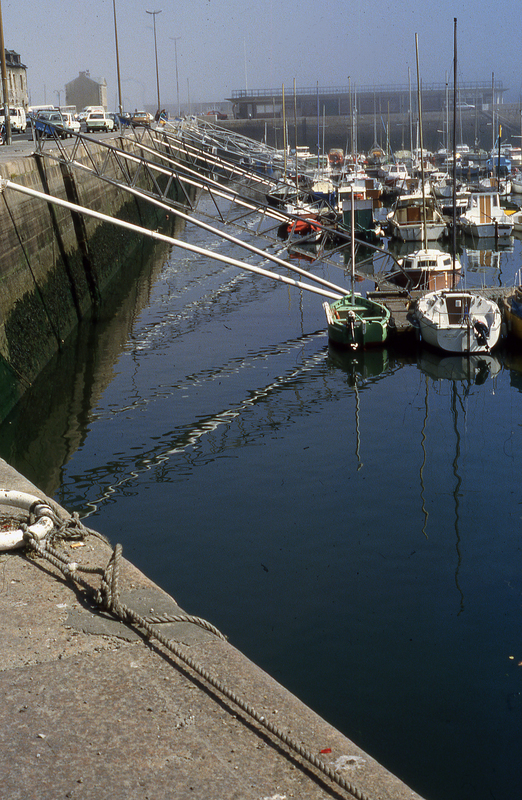 Une photo du port de Cherbourg, prise en juin ou juillet 1986, une photo qui ramène à mon esprit de bien beaux souvenirs…. 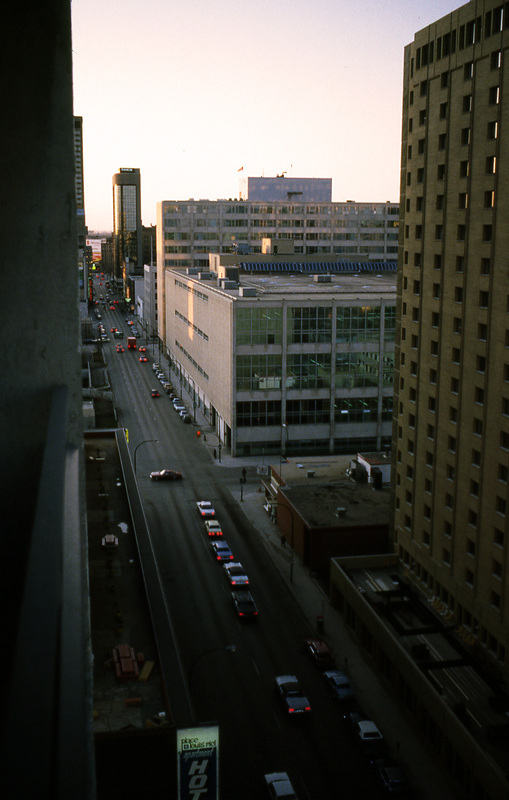 Downtown Winnipeg, on the first night I arrived there end of April 1982, I was to spent the next four years working in those two high rise building, we can see in the upper part of the photo, at that time I was reading Alvin Tofler’s ‘The Third Wave’, this book was about the increasing mobility of a new type of professional worker, highly mobile, that can be moved from town to town, country to country, regularly, and that already furnished apartment and other services would be readily available without having to move all your belongings, for my first week there, it did sounds quite like that, I had for the first week a modern apartment, in a high-rise building downtown, from there we can see on the picture the two buildings where I would work the next four years, but this was for the first week, and then I found a more cosy place in the upper part of a transformed dwelling, a little house in Osborne Village, the ‘hipster neighborhood’ of the time.